If you are considering an interest-only home loan, it’s vitally important to weigh up some pros and cons of this type of loan. Some people might view an interest-only mortgage as an attractive choice when considering finance options for a home. However, interest-only loans were designed with very specific types of borrowers in mind, and that may not be you. An interest-only mortgage is a type of home loan where you only have to make payments for the interest on the loan for a set period of time. You don’t have to repay the principal on the loan (the loan amount) like in a principal and interest (P&I) loan. You can compare home loan interest rates below, making it easier to shop around for the best mortgage rates that suit you. Interest-only loans typically have a maximum period of five years, after which the loan reverts to the normal principal and interest repayments. Interest-only mortgages are not designed for every type of borrower. Interest-only home loans may not be a good idea for standard home buyers looking to pay less on their monthly repayments, all together, because the less you repay of the loan amount (the principal), the more you end up paying in interest on your loan over the years. Instead, interest-only loans can be useful for property investors who can claim the interest as a tax deduction, first home buyers trying to make their first year of loan payments more affordable after the initial upfront expenses of buying, or buyers who only plan on holding onto the property for a few years before selling it. Importantly, it’s worth noting that restrictions on interest-only mortgages lending have been put in place in both Australia and New Zealand due to concerns for borrowers amid heightened risks of household debt and rising house prices. This means any bank or lending institution in New Zealand now has to strongly justify any instances of interest-only lending and lending to investors or house buyers. Interest-only mortgages or home loans can have some short-term benefits such as lower monthly payments, potential tax benefits, and may free up cash to invest elsewhere. These benefits should, however, be taken with a grain of salt once you consider the disadvantages/cons. An interest-only mortgage generally presents potential tax benefits to investors. If the interest paid on the home loan is a tax deduction, the investor can claim, then paying interest-only maximises that deduction for the investor. After all, paying off the principal means that interest would be charged on a smaller amount, which reduces the dollar amount of the tax deduction. An investor might take out an interest-only mortgage on a property and count on the property appreciating (growing in value) to repay the principal at the end of the term. In the investor example above, paying interest-only (with the interest being tax deductible) would free up extra cash to put towards something that isn’t tax deductible – such as another investment loan, business running expenses, or the cost of studying. There are plenty of other goals that can improve our wealth over the long term, so there’s plenty of ways to put that extra cash to better use than repaying principal on an investment loan. Not every lender offers interest-only loans, even for investors. You’ll have to look a bit harder for an interest-only mortgage and your application will be seriously assessed to make sure you are a suitable borrower for this type of loan. Unless it’s an investment property or you are intending to sell within a few years, chances are that you will need to pay off the principal of the loan at some point. Interest-only mortgages only extend the time taken to pay off the principle and this increases the repayments in total. Most interest-only loans are only available for a few years, with none of the principal being repaid during that time. So, when the loan reverts to a P&I (principal and interest) repayment, the sudden surge in the cost of monthly repayments can be a shock. Unless there is a specific (and good) reason for you to be choosing an interest-only loan, you could just be delaying – at your own cost – the inevitable. Another risk with interest-only loans is if your property loses value, while you are not repaying any of the principal, then you could end up owing more than it is actually worth, possibly requiring you to sell for a loss. Home loan interest rates are comparatively low, certainly when compared with historical rates – so it’s a good time to pay off some of that dreaded home loan principal amount. That way, if rates rise in the future, you will be paying those higher rates on a reduced loan size. Paying interest only frees up your cash-flow – but if you end up using that extra cash to pay for day-to-day ‘stuff’ rather than for additional investments or to pay down other debt, it could well be wasted money. 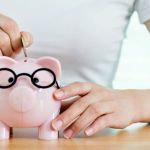 This could lead you to rely on this extra cash-flow for your living expenses without thinking about the fact you’re not actually investing in anything worthwhile. Is an interest-only mortgage the right option for me? The interest-only home loan can be useful for property investors who can claim the interest as a tax deduction, first home buyers trying to make their first year in their new home more affordable, or buyers who only plan on holding onto the property for a few years before selling it. Interest-only home loans may not be a good idea for standard home buyers who are looking to pay less on their monthly repayments because the less you repay of the loan amount (the principal), the more you end up paying in interest over the years. Overall, if you’re considering an interest-only home loan, carefully consider the potential pros and cons and get some professional advice. At the end of the day, you want to be certain that whatever your choice, you’re doing the right thing for your finances. And it’s good to know you’re going to be financially safe, long-term. To help you decide what’s best for your budget, we’ve developed a range of comparison tools. What type of home loan is right for first home buyers? Can You Buy a House With No Deposit?